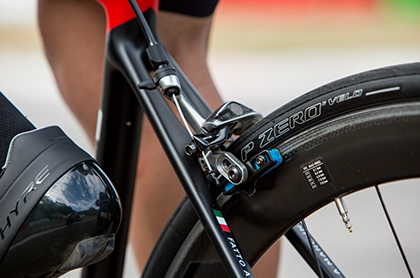 The Pirelli P Zero Velo Folding Road Tyre is the production of years of top-level racing expertise. The Pirelli P Zero Velo Folding Road Tyre is their crowning jewel, which offers the new standard in bicycle clincher performance. 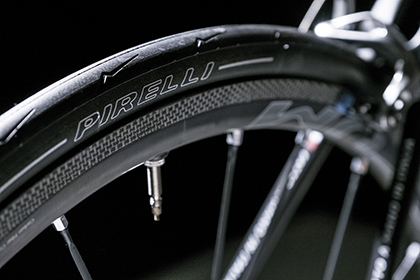 At the core of the Pirelli P Zero Velo Folding Road Tyre, is the patented Pirelli SmartNET Silica® with an Aramid Fiber puncture resistant layer. 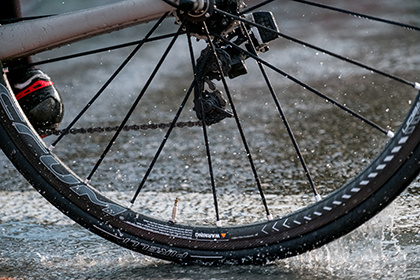 This patented compound provides superior grip in both dry and wet conditions, as well as unparalleled puncture resistance and mileage. The Pirelli P Zero Velo Folding Road Tyre benefits from low rolling resistance, dry & wet grip, comfort, puncture protection, mileage. Superior handling for extreme safety feeling. Pirelli P Zero Velo Folding Road Tyre is rated 4.4 out of 5 by 14. Rated 5 out of 5 by HenHarrier from My new favourite Swapped to these after long-term use of Conti GP 4000s and Schwalbe Ones. The former were good but often felt a bit 'squishy', the latter would cut up if a stone looked at them. I tried the Zero Velos and am (so far) really impressed: I've only done a few 100km on them in total but I'm impressed..they roll well, have great road 'feel', are grippy, and (touchwood) seem pretty puncture resistant. They weren't easy to get on my wide rims incidentally, but no worse than other tyres I've tried. It'll be interesting to see what long-term reviews of the new GP5000s say, but I see no reason to change from the Zero Velos at the moment. Rated 4 out of 5 by Boss22 from Very good tires .Put roughly 1000 km on them so far and they corner very well and roll very well also.They are a bit pricey but you get what you pay for. I ride a 2014 Cervelo R3 which has limited tyre clearances particularly at the crown of the front fork. I&rsquo;ve just brought a set of Campag Zonda wheels and was planning to fit the 25mm tyres. As the new wheels have a 17mm internal width I expect the tyre should sit a little lower than with my older 15mm width wheels. Has anybody any experience or thoughts as to how these tyres compare in volume to the Conti GP4000s which I do have experience with?